UAE-based National Central Cooling Company (Tabreed) has reported a net profit of Dh427.6 million ($116.4 million) for the full year 2018, up 7 per cent over Dh400.1 million ($108.9 million) the previous year, adding 39,061 Refrigeration Tonnes (RTs) of new connections across the GCC during the year thus resulting in the delivery of over 1.1 million RTs of cooling capacity. Announcing the financial results for 2018. 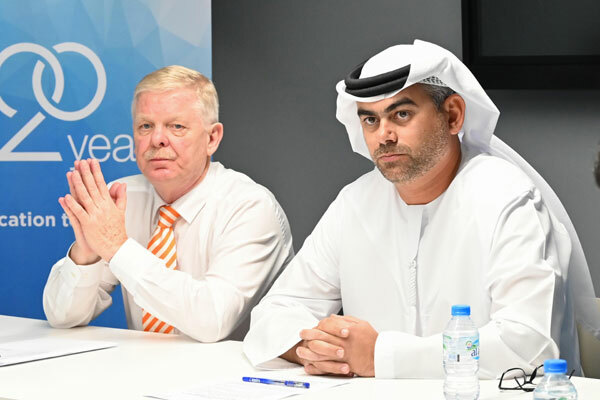 Tabreed said the group revenue increased by 3 per cent to Dh1.45 billion, compared to Dh1.39 billion last year, while core chilled water revenue increased by 3 per cent to Dh1.36 billion, compared to Dh1.31 billion in 2017. Ebitda increased by 10 per cent to Dh694.2 million, compared to Dh628.4 million last year. Share of results of associates and joint ventures decreased by 30 per cent to Dh90.3 million, while it was Dh128.8 million in 2017, due to the impact of new accounting standards. Based on such results, Tabreed’s board of directors has recommended a cash dividend for 2018 of 9.5 fils per share, up from 8 fils per share paid in 2018. Last year was a significant one for Tabreed as it celebrated several key achievements during 2018, in addition to marking its 20th anniversary. During the year, Tabreed acquired 50 per cent of S&T Cool District Cooling Company, a major district cooling provider on Reem Island in Abu Dhabi, from Aldar Properties. The dicstrict cooling firm also sold part of its stake in its associate Saudi Tabreed to the IDB Infrastructure Fund II, said the company in its statement. Tabreed also added 39,061 RT of new customer connections across the GCC including Warner Bros. World Abu Dhabi theme park, which opened on Yas Island in July last year and which reinforced Tabreed’s reputation as a partner of choice for the UAE’s most high-profile assets. In addition, Tabreed successfully issued a $500 million, seven-year tenor sukuk, which was 50 per cent oversubscribed, reflecting strong demand from local and international investors, and receiving investment grade credit ratings from Moody’s and Fitch of Baa3 and BBB respectively, said the statement. These consistently strong results, new sukuk and new bank facilities of up to Dh1.5 billion reinforce Tabreed’s strong business model and solid funding base, positioning it well for future growth, it added. Commenting on the results, Chairman Khaled Abdulla Al Qubaisi said: "Tabreed has become the leader in district cooling, with 74 plants across five countries. Our financial and operational achievements this year demonstrate continuing excellence across our business." "I am optimistic about 2019 and beyond as economic diversification in the GCC and increasing urbanisation drives investment in high-density developments," he stated.